The Ebola outbreak in eastern DR Congo has claimed 55 lives since the start of the month, the authorities said Monday, as the government announced free treatment against the disease for the next three months. The health ministry's latest bulletin said that the death toll had been increased following five new victims in Mabalako-Mangina, close to Beni, the epicentre of the outbreak in the North Kivu province. In all, "96 cases of haemorrhagic fever were reported in the region, 69 of which had been confirmed and 27 were seen as probable," the ministry said. At the same time, the medical team in charge of fighting the disease revised downwards the estimated number of "contacts" -- people who may have had contact with the virus -- from 2,157 to 1,609, following epidemiological tests. Beni's mayor Jean Edmond Nyonyi Masumbuko Bwanakawa announced that the government had decided to make treatment free in Beni, Mabalako-Mangina and Oicha for three months starting Monday. The aim was to "remove the financial barrier that could dissuade the population from going to the health centre," said Dr. Bathe Ndjoloko Tambwe, in charge of coordinating the fight against the disease. The average earnings of the 80 million people in the Democratic Republic of Congo are estimated at $1.25 per day. 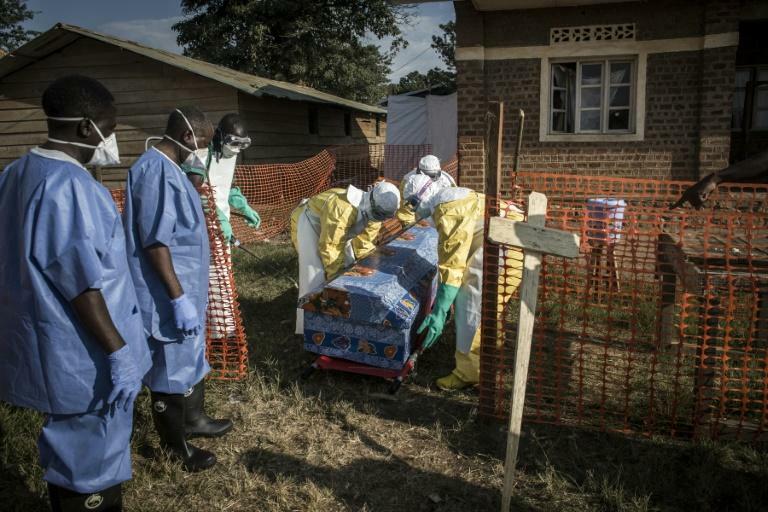 The current Ebola outbreak began on August 1 in Mangina in North Kivu. It is the 10th outbreak to strike the DRC since 1976, when Ebola was first identified and named after a river in the north of the country. Ebola has long been considered incurable, though swift isolation and the rapid treatment of symptoms such as vomiting, diarrhoea and dehydration has helped some patients to survive. The quest for a vaccine grew increasingly urgent during an Ebola epidemic that killed more than 11,300 people in the West African states of Guinea, Liberia and Sierra Leone in 2013-15.